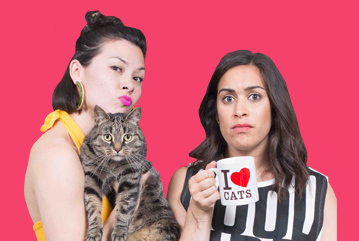 EGG are an exciting comedy double act made up of Anna Leong Brophy and Emily Lloyd-Saini. 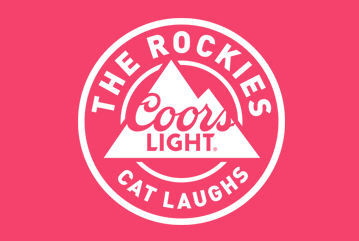 After improvising together in award-winning improv troupe ‘BattleActs!’ for over 5 years, they made the leap into sketch comedy together as EGG. Their first live show, ‘EGG: Static’ received positive reviews from both audience and critics at the Edinburgh Fringe Festival in 2016. 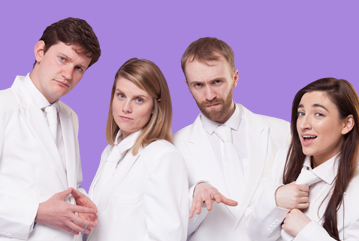 Their official debut, Richard Pictures, produced by Berk’s Nest, enjoyed sold out shows at the Fringe in 2018, and was directed by Phoebe Bourke.